Kenya is from this July set to start off its second phase of the massive Standard Gauge Railway project where a line will be constructed from Nairobi to Lake Victoria port, Kisumu. The development is meant to enhance transportation of goods between Kenya and Uganda. The new route is now being favored from the previously planned Nairobi-Malaba route since it provides shortest route to East African countries. 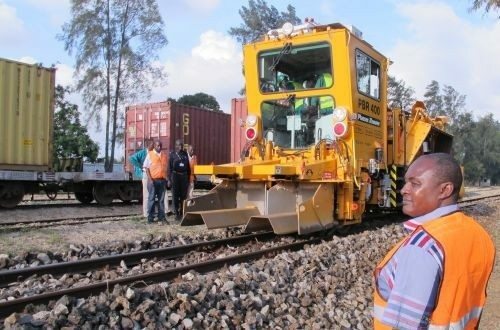 “Construction of phase two of the standard gauge railway line will begin in the 2015-2016 financial year under a design and build framework,” said the National Treasury in February this year. In Kenya, the US$ 4bn Standard Gauge Railway project involves construction of a 398km line that will link Nairobi to the shores of Lake Victoria in Kisumu and further to Uganda. The line will also be hooked to Rwanda, Sudan and Burundi according to East Africa’s master plan for a Standard Gauge railway line. It is expected to aid in the decongestion of goods from the Mombasa port. Construction has finally begun in Kenya for the Mombasa-Nairobi route, a project being undertaken by China Communication Company. The link from Mombasa to Nairobi is 609km. Uganda has also entered deal with the China Harbour Engineering Company Limited (CHEC) this month to see construction of US$ 3.2bn railway line between Kampala through Malaba to Nimule in South Sudan.